The first box described this cereal as "more nutritious than hot oatmeal". Later boxes referred to it as "high nutrition cereal". 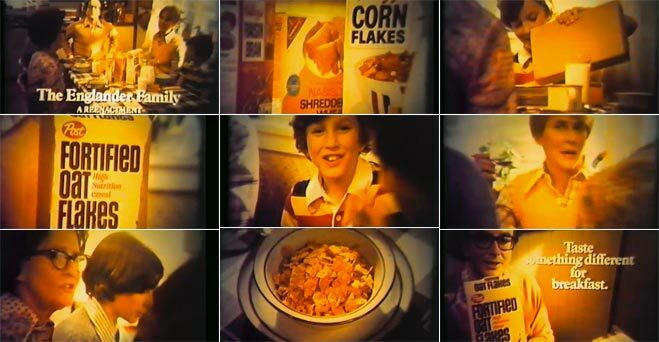 Commercials for the cereal used the tagline "Taste something different for breakfast." Narrator: We're having breakfast with the Englander family. And these are their favorite cereals. But this morning, they're trying something different, a cereal they've never had before. Mother: It's something I'd pick. Father: I'm going nuts trying to figure out what makes it different. Narrator: Post Fortified Oat Flakes is lightly toasted, slightly sweet, deliciously different from any other cereal, and it's a high nutrition cereal. Father: You've got a great family cereal here. What do you think of Fortified Oat Flakes? View all 439 comments for this cereal. Loved this cereal, nothing close. As it became harder to find Oat Flakes, I would buy them by the case. I really wish Post would bring it back. Miss this cereal so much! I wish they would bring it back! Keep hoping they will bring this cereal back. Just today I scanned the cereals and lamented that Post has not seen fit to bring back their oat flakes. By far my favorite. Like someone else commented, I seldom buy cereal anymore. I check periodically. This cereal gets nothing but favorable comments. 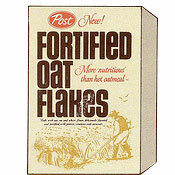 Please bring Fortified Oats back. This was NOT introduced in 1970. I have baseball cards that I cut from Fortified boxes in 1961-62. Best ever. I got my oldest son addicted to it in the '70's. 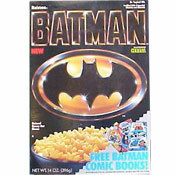 This was the only cereal I would pick out at the grocery store, and I ate it until they stopped making it. Cereal isn't worth eating anymore, so I don't buy it or eat it. I would get it if they brought it back just as it used to be. I have finally found a cereal that brings back the memory of Oat Flakes. Special K Protein Original. Does it taste like Oat Flakes? Who knows, it's been so long. But it sure reminds me of it! I miss this cereal too. There are a lot of oat cereals out there, usually in cluster or O's shapes. Why no flakes? They make flake cereals from wheat, bran, rice, and corn. 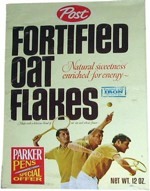 Why is it so hard to come up with and oat FLAKE cereal?